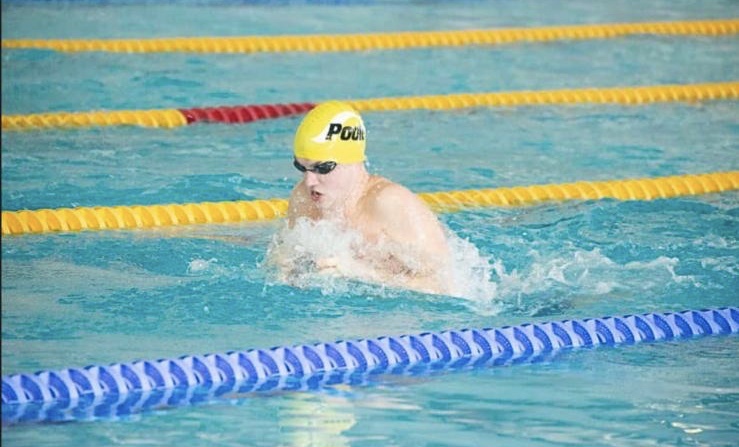 A quartet of Poole Swimming Club’s brightest stars will be heading north of the wall swapping the calmer Poole Bay scenery to settle next to the faster currents of the river Clyde in Glasgow where the biggest domestic meet of the year takes places from the 16h – 21st April. The British Swimming Championships. Alongside striving to be crowned the best in the British Isles, the competition provides opportunities for Senior & Junior athletes to qualify for Great British teams heading to the Senior World Championships (Gwanju), World Junior Championships (Budapest) and European Junior Championships (Kazan). Each of the athletes are heading to the competition with personal goals prepared to dream big and work on the small details leading to their versions of success. Having earned a spot on the English Commonwealth Games team and the European Senior Championships in 2018, Peters is looking to climb the next step of the ladder and earn a spot on the 2019 Senior World Championships Team. In his biggest challenge yet, he will have to set lifetime bests by 3% in the 100m and 200m Fly to earn a prestigious automatic spot on the team. Peters having decided to focus purely on swimming at the start of the 2018/19 season, has trained harder and more in volume than ever before, he pulled in some impressive short course bests at the Ontario Junior International Meet in December. His hunger and focus during this meet will be key to realizing his dream and journey upwards through our sport. Peters will be looking to impress in the three fly events which spread out every other day of the meet. His competitions start’s wit the 200m Fly where he will be going into the event ranked third. Two days later it’s a similar story in the 100m Fly again ranked third. Peters championships will culminate at the championships with the 50m Fly on Sunday. 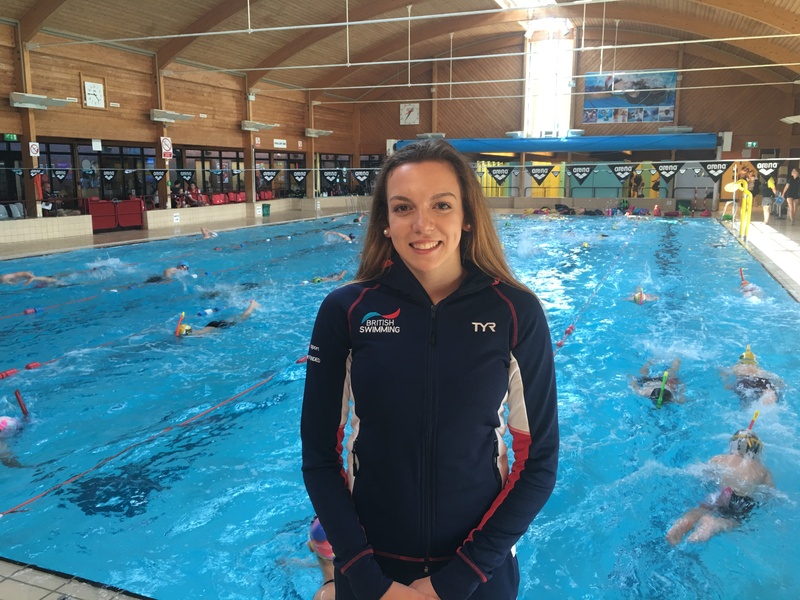 Jasmine McCrea in her 3rd British Championships takes her first step into the Senior rankings, after junior international success and earning British Junior Champion status in 2018 McCrea will be looking to challenge for senior finals and hunting for medals in the 50m Fly and 50m Free and 100m Fly. In her first year at senior level the expectation is all about beating competitors and racing with the steely determination that she has resiliently developed through her teenage years. Focusing on sticking to well worked race plans will be key. Jasmine swims in the 50m Fly on Wednesday (current ranking 3rd), 50m Free on Thursday (current ranking 6th) and 100m Fly on Sunday (current ranking 16th). Having returned from the British Summer Championships with medals round his neck, Fairman will be competing with the aim of finishing high in the junior ranks. Being one year younger than the top of the 18 and under Junior age group, he will be pitted against older swimmers. But with the sort of mental power and racing from the heart that Fairman demonstrates he will be pushing for a place on either the World Junior Championship team or European Junior Team to build on his international experience which started with the South West team in Bulgaria last year. Fairman’s competition starts on Tuesday with the 50m Back, going in as the 7th ranked junior. On Wednesday, he attacks the 100m Back, where his current ranking lies him in fourth place. In this event finishing winner or runner up could be enough to qualify for a team. Thursdays see’s him challenge the 400IM, ranked 18th Junior, with good improvements in all strokes and targeting a big Breast-stroke and faster freestyle leg Fairman will be looking for a lifetime best to reach the Junior final. Following the longer event on Thursday, Friday will bring am opportunity to rest and re focus, in preparation for the 200IM on Saturday, where the challenge is to reach the junior final, with a pre-seeding junior ranking of 12th. Sunday see’s the second realistic chance of earning a junior team spot in the 200m Back where he again goes in ranked 4th. 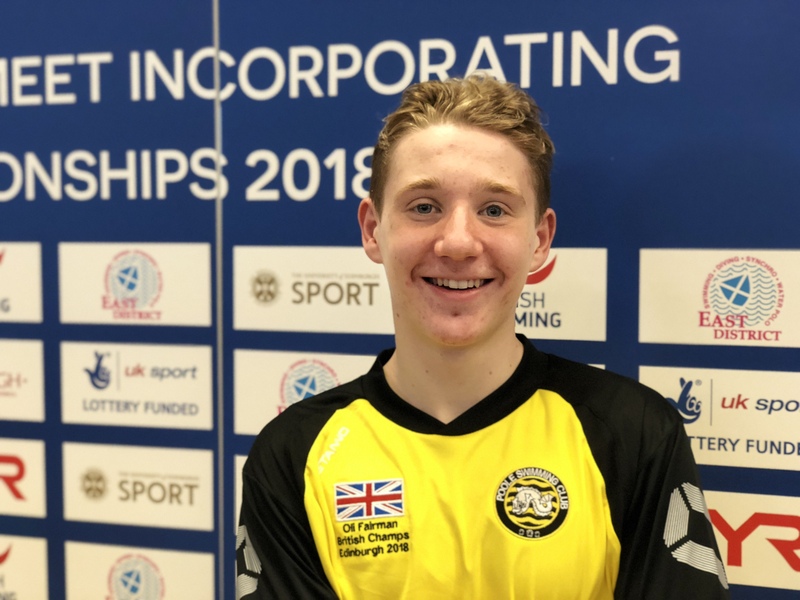 Earning his way to a first British Championships at the age of 18 having steadily worked through Regional and National ranks, Ollie Weston will be competing in the 50m Breast-stroke. With an ability to turn it on for race day, Weston has set himself goals challenging records and making at least a transition final in the event that will run on Wednesday. 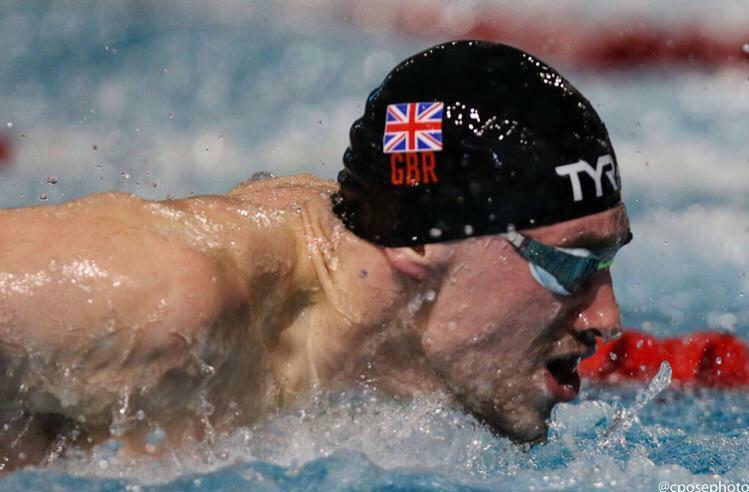 Coach Barry Alldrick commented: “We have four very different personalities racing in Glasgow coveirng all strokes, we have taken time to work on the strengths of each of the athletes and drill the areas for biggest impact and improvements. The journeys to this point have admittedly been both challenging and rewarding. This awesome foursome can’t do anything else NOW other than strive for precision in all strategies around the competition and doing their ‘thing’ in the race. I am very proud to be on poolside with such brilliant young friends and I can’t wait for that spine tingling feeling and the excitement that watching them perform in the big competition arena bring"
The team has travelled up two days before the meet as part of planning the best opportunities for performance and start training at 4pm on Sunday. 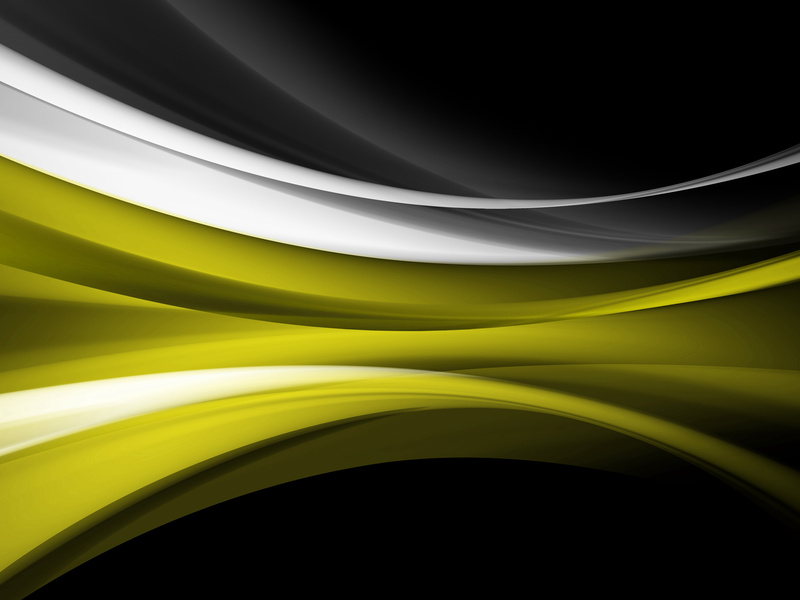 Joining the coach and athletes will be recovery specialist Corinne of Sports Massage and Holistic Therapies.